This two hour session is a great introduction to kumihimo. This simple 8 strand bracelet takes approximately 2 hours to complete. You can complete this in one session or combine this with another session to make a half day. 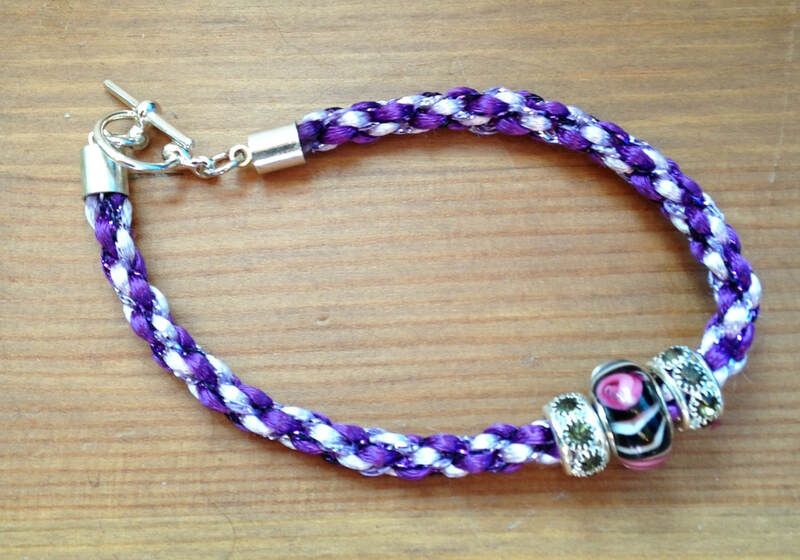 Complete the braid to make a bracelet or scissor keeper / bag charm. This costs £7.50 per 2 hour session. You will receive a basic kumihimo disk to use during the session and take home with you to keep. We provide cords and fittings for your chosen project. 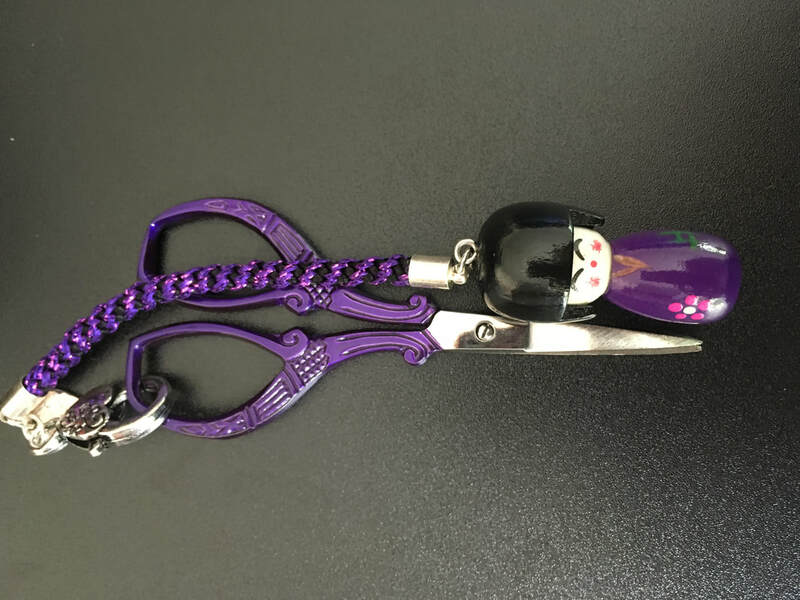 Including large beads for the bracelet or charm for your scissor keeper.